In exchange for $168, 544 in kickbacks, a 46-year-old former researcher at Samsung Mobile Display (SMD) has been arrested in Korea, and 11 other employees detained, for leaking Samsung's "small mask scanning" AMOLED display tech to the competition. Everybody wants in on the AMOLED gravy train, and the researcher, who left for a rival company in November after being passed for promotion, reportedly also tried to shop the goods to Chinese display makers. That might explain the sudden accomplishments of a few Chinese screen manufacturers we told yo about not long ago, resulting in not only ramped up AMOLED production, but reportedly also building factories for next-gen OLED technologies, which was attributed to them shifting focus from LCD to OLED as well. Industrial espionage is hardly a punishable offense there, and stealthily even encouraged by the government. The rival company the SMD researcher moved to, however, might very well be LG, which would explain why both companies unveiled 55" OLED TVs at roughly the same time. Samsung is at the forefront of OLED research, but might not be for long, if its lab efforts keep on leaking like that. pa is so slow i wrote this yesterday on comments about sony using oled tech on their phones. For ur kind info, Sony made world's 1st tv with oled screen and was d 1st one to publicaly showcase bendable oled screens..., but thanks to their idiotic decision they left oled development project in between. they just don't need to do this kind of sh*t! Oh when this article suggests that the tech may be sold to LG its not wrong but when i suggest it very well may be Sony, it is wrong. What am i supposed to speculate,that the tech was sold to some Korean meat processing plant. By the way, I like Sony, I have their Walkman which still works perfectly even though i dropped it many times in solid concrete floor. I cannot say the same about iPod. Sony's hardware is very reliable but in terms of Oled Samsung is very far ahead even though Sony brought first Oled TV and flexible Oleds. Oh and PA's articles are getting worse and worse. I can tell that a article is written by Victor just reading a line because it always has that negative stench to it. They just copy their articles and that too with too many grammatical error(not that i care, English is not my first language anyways). There are too many link baiting and sensationalist headlines. At least it is better than Engadget and The Verge (which is full of Engadget apple refugees by the way) but it is not going to be for long if their is no originality and creativity in their article. The reason why Sony stopped using AMOLED panels for their TV's and such (many years ago) is that AMOLED panels were so expensive during the past years. Big fuss for...not that big thing. OLED displays are nice, but still not good enogh to beat the IPS LCD. Especially in colour reproduction and pixel density. But since this is the only thing Samsung are famous for, I understand them. IPS LCDs do not stand up to Amoled RGB. You cant beat the infinite contrast ratios from the pure blacks and high color reproduction of an Amoled. The only things that IPS ever had was the higher pixel density which has been erased by the newest Amoled displays. Its all preference though. You are right, iPhone 4s's ips display's color were as off as Sansung galaxy sii's Amoled. Oh and you cannot achieve true blacks by using back or edge lighting, well at least for now. You also cannot compare Amoled and LCD's black level, saturation levels. The green bluish tint to whites in Amoled screen is only evident on low res Amoled using Pentile arrangement of pixels and IPS's white level is determined by the intensity of back or edge lighting. You can have great white level on Oled too but the LED's burn out too quickly if they remain illuminated (with high intensity lighting) for too long. 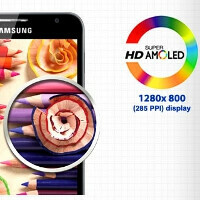 whether you prefer IPS or OLED screen, its just a matter of preference (just as remix said), both screens have their pros and cons... personally, i prefer IPS over OLED btw, i rmb reading on this site that SuperLCD2 is actually the same as LG's AH-IPS.. its just a different name bcos of copyright or something..
AMOLED tech still uses far too much power in web browsing scenarios, burn-in is still a significant issue, Samsung ships their displays with wildly uncalibrated white points and colorspace configuration, which causes unnaturally saturated colors. IPS tends to be better calibrated in terms of color (and yes, going under the max possible colors is better than going over in configuration, this is indisputable when it comes to color accuracy), power in workloads with lots of colors present is much better compared to AMOLED, white points are often much closer to the mark, sheer brightness tends to be better, and general longevity is indisputably longer. AMOLED is good, but it needs more time. IPS is mature technology and still has viable upgrade paths. Currently I'd still take IPS over AMOLED any day, I'm willing to sacrifice contrast ratios for more proven technology. Good, with the leak Samsung won't get anymore advantage to competitors. This in return benefits the entire industry and consumers with lower price OLEDs. oh com'on what's up with the thumbs down? samsuck fans. waiting for gs3 eagerly......now , i came to know that it will come out with so much brilliant screen.....wow, go Sammy. yeah i know, but i don't know how good it is(Sol screen), the fact is that samsung has an edge on OLED's and it is highly likely that it will stay like that, but I like IPS LCD more just because it looks more crisp and has nicer, more realistic colors, except for blacks...btw i own Optimus Black myself and the screen is georgeus, even blacks are good, not great but good. Trade secrets, they are the downfall to any big successful company. Once you have a leak in the building, you have to find everything out from whom the person offered it to and where to find them. I know its off topic, but why is everyone getting thumbed down these days for no apparent reason. I agree. There are a couple of hater/trolls out there.